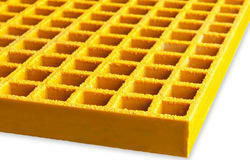 We are manufacturers of FRP Grating. 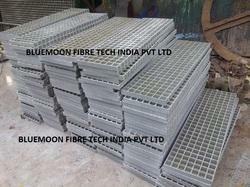 Bluemoon make FRP Moulded Gratings in India well known in the industry for giving corrosion resistant, high strength, safe and durable Fiberglass molded gratings to its esteemed clients worldwide. These products are compact sized and can be availed in diverse specifications as per client requirements. Their accordance with the industry defined standards and makes them popular among the customers across the nation. We are offering these products after thorough quality analysis at most economical prices. 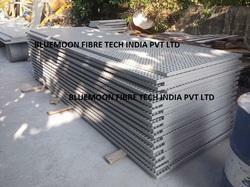 Bluemoon the reckoned names in the industry, offering exceptional range of FRP Floor Gratings that are appreciated among the clients for optimum quality and durable finishing. 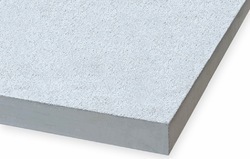 These products are functionally advanced in nature and are used in different industrial applications. Offered product range is manufactured using quality assured raw components sourced from reliable and certified vendors in the industry. 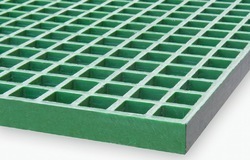 Moulded Fibre glass grating is manufactured in an open, heated mould system. Continuous E-glass rovings are placed in the mould in alternating layers and completely wetted out with resin. This continuous process produces an integral, one piece construction which provides excellent corrosion resistance as well as bi-directional strength. There are a number of different moulds available resulting in an extensive range of panel sizes, thickness and mesh patterns. Bluemoon products are lightweight and easy to fabricate. Savings on labour and equipment often make the total installed cost of Bluemoon products comparable to that of steel. Combining these installation savings with low maintenance, long life and worker safety, our products offer a life cycle cost that is significantly lower than that of metallic products. 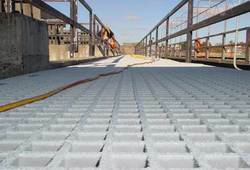 We are offering FRP Covered Grating to our clients. 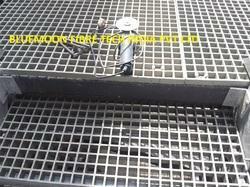 We are offering FRP Moulded Grating to our clients. 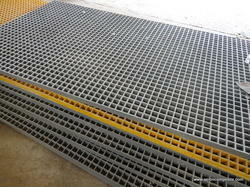 We are offering FRP Walkway Grating to our clients. 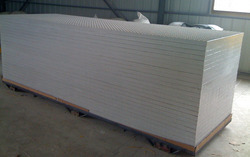 We are offering Flooring FRP Grating to our clients. 1. Select the proper bar spacing and height to meet your load requirements. 2. Select the proper resin to meet your environmental requirements. 3. Select the proper panel size to meet your requirement. 4. Determine if you want grit top or plain top. 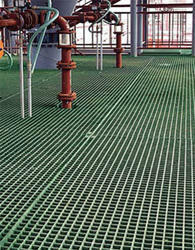 we bring forth a quality approved range of FRP Industrial Gratings to the customers. Best industry experts manufacture these products using the advanced technical machineries and finest quality material that are acquired from reliable and trusted vendors of market. These products are highly demanded in various places. Additionally, all offered range are also available at budget friendly prices. 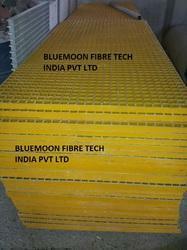 Bluemoon engaged in manufacturing, exporting and supplying a wide range of FRP and GRP Gratings. 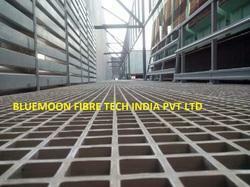 Our offered range of Fiberglass grating is manufactured from hand lay up system with modern technology. 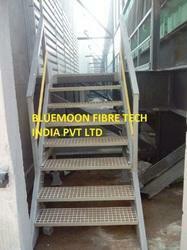 Along with that, offered Fiberglass grating is completely checked by quality experts to meet market norms & standards. 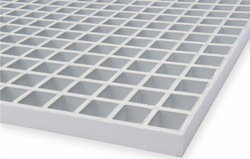 The Fiberglass grating offered by us is available in sizes, to suit various applications.